This modern building consists of fully furnished offices equipped with high speed internet connection and the latest telecommunication facilities. They are provided with a full range of facilities and services, including answering and reception services, cleaning services, security systems and heliport. 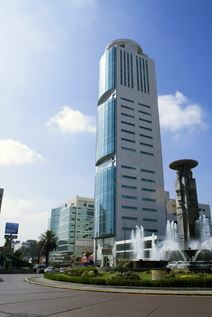 Just a few minutes’ away from the centre of Puela, the building is surrounded by hotels, banks and numerous amenities. Situated in the heart of the financial core of Puebla, this business centre is close to historic museums, markets and more. This centre offers access to superb office space, as well as a full range of business support services to help your company succeed. 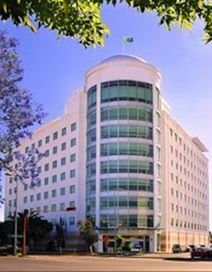 These exquisitely furnished and fantastically provided corporate office spaces are conveniently situated in one of Puebla's most important and locally renowned main avenues, directly in the very heart of the main major financial district within the expanding and culturally vibrant Guadalajara metropolitan area. Prospective tenants would benefit from spectacular views and are close to a number of great restaurants. This centre enjoys a strategic location in the very heart of Puebla, close to restaurants, hotels, boutique shopping and more. Offering a superb business environment, this centre provides cutting-edge office space on flexible terms. 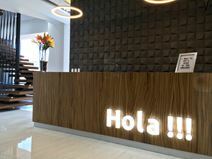 Furnished and serviced offices to let in Puebla. These modern offices include reception services, secure below-ground parking for tenants, access to large meeting rooms and 24 hour access. The centre has good access to both industrial and residential areas, and is situated in the largest and most upmarket shopping centre in Puebla. This gives the center easy access to restaurants, designer label outlet stores and cinemas. Set in the heart of Sonata Town Center, this business centre provides comfortable and efficient office services in a highly accessible area, close to schools, gyms, restaurants and more. A full selection of amenities is available to clients, and the centre also offers meeting rooms and virtual offices. t this location, you will have unlimited internet access, receptionist, personalized attention, telephone number, meeting room, including all the services you need so that you only worry about your business. This great location offers clients with premium access to the areas local restaurants, banks and gyms. This center strives to make sure that everything you need is provided. This office space is located in Sonata. 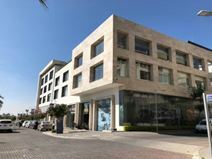 This office is located near a shopping center and walking distance from restaurants, bars and hotels. Is the perfect place to take your clients after you make an agreement to close and celebrate. There are many banks walking distance and many other convenience stores that you need in your daily life. This office is also close to a park where you can go and play any sport. Or you can go and simply people watch in order to relax from a hard day at work. This brand-new building is situated in the most prestigious district of the city, and offers a range of well-equipped offices to suit any business. With minimalist stylings and a host of business support services, this centre provides a friendly yet professional business environment. Close to eateries, hotels, retail, a golf club, an entertainment venue and much more. This business centre is located within one of the most prestigious and exclusive office buildings in all of the city of Puebla, complete with luxurious furnishings and fittings, state of the art technical equipment and facilities, an ideal location with the city's main attractions and amenities close at hand and with a wide range of exceptional transport links either directly adjacent or in close proximity to the building.